He was convicted of double murder more than 2 decades ago. Now, a pair of old sneakers may have helped the Chicago man gain his freedom. Thursday, a judge ordered Jaime Hauad released from prison. 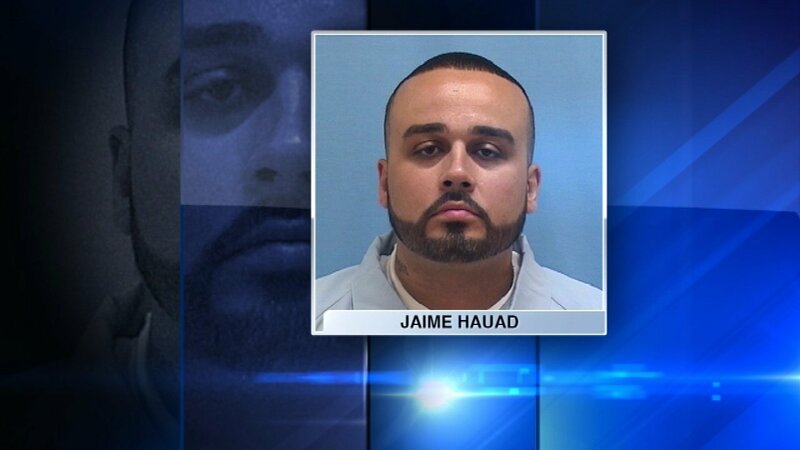 The family of Jaime Hauad said justice has finally been done now that a Cook County judge ordered him to be released after spending nearly 21 years serving a life sentence in prison, convicted of killing two rival gang members. The Thursday morning decision to resentence the now 37-year old to time served came after the Cook County State's Attorney's Office reviewed the case and agreed that he should be freed. In court, a member of the Conviction Integrity Unit told Judge William Gamboney, "We had enough concerns that we felt a new sentencing was appropriate. We made a decision pointing to the best outcome." Thursday's ruling was based on a finding by the Illinois Torture Commission that determined Hauad's claims of torture were credible. Hauad's attorneys say the Fila sneakers he was wearing when he was arrested in 1997 for two gang-related murders committed outside a bar in Chicago's Avondale neighborhood are the proof. They accused detectives at the former Area 5 headquarters of using an industrial-strength paper cutter on his shoes while he was wearing them to try to make him confess. Hauad was 17 years old at the time. Police photos taken of the shoes show a before and after. "The sneakers are intact in the first photograph. The tips are sliced off in the second photograph," said Alison Flaum with the Northwestern University Children & Family Justice Center. Despite the sentence reduction, his conviction still stands. "He's coming home and I'm grateful. God first. I thank God," said Perez. He's expected to be released from Graham Correctional Center, which is about 4-hours from Chicago, where he will be met by family including his daughter and his granddaughter that he's never embraced.